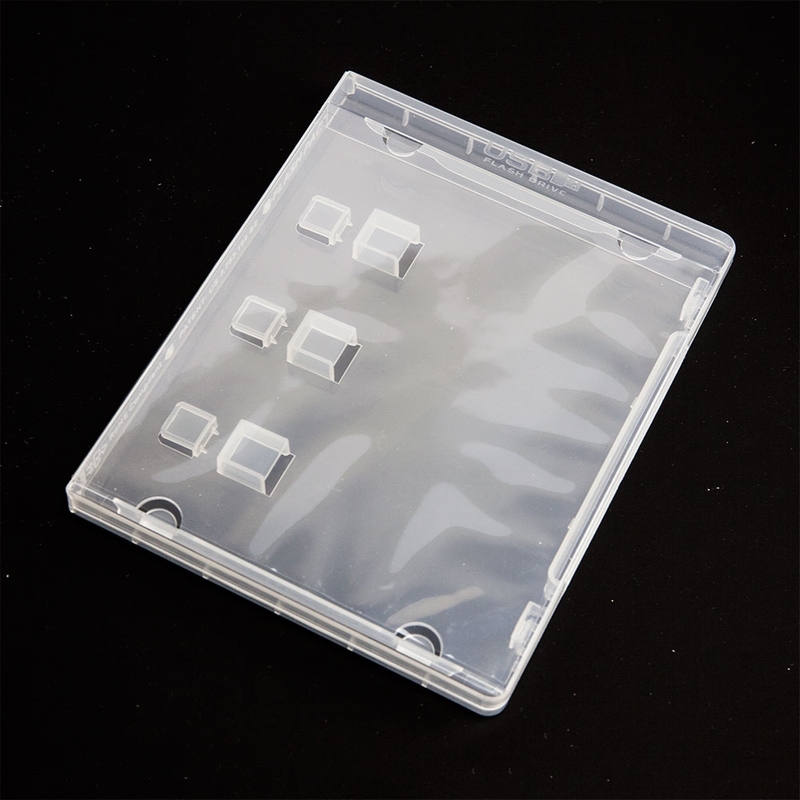 The Flash Pac is a super clear durable USB drive case very similar to a DVD or Blu-ray case. It holds 3 standard sized thumb drives and even has a holder for each flash drive cap. The inside front cover of this USB case features literature clips giving you the flexibility to add an insert flyer, booklet or brochure. A clear outer overlay wraps around the outside of this USB case providing a space to hold cover artwork, adding to design capabilities.